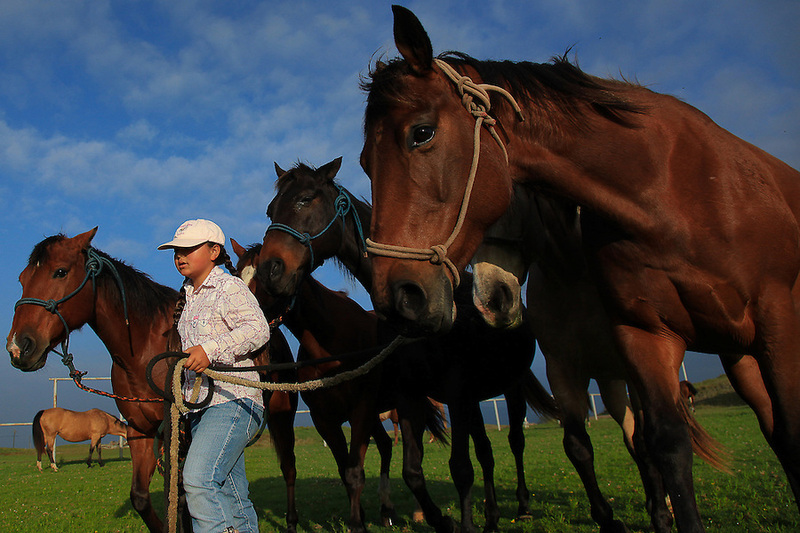 Ikena Nakoa, 10, leads a group of horses to another pasture after feeding them hay for breakfast at Dahana Ranch in Wimea, Hawaii. Her father, Harry Nakoa, breeds and trains horses for use in rodeos and on ranches. Ikena and her two siblings have grown up helping him and are an intregral party of the family-run operation.